A colorful and contemporary penthouse in Mission Bay designed by Form + Field, a San Francisco-based interior design firm. 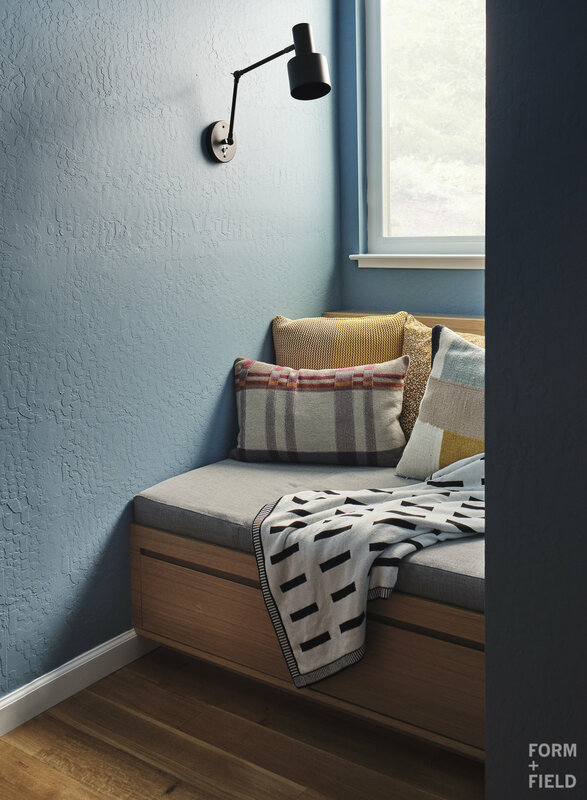 A couple who have great design sensibilities (she’s a graphic designer/ art director) and a love of both Scandinavian and mid-century design hired us to renovate their outdated Sunnyvale ranch. We knocked down a couple walls, put in new flooring and lighting throughout, and most importantly, gave them a larger, brand-new kitchen. The entire home is designed for durability with kids and Professor, their Boston Terrier, in mind. 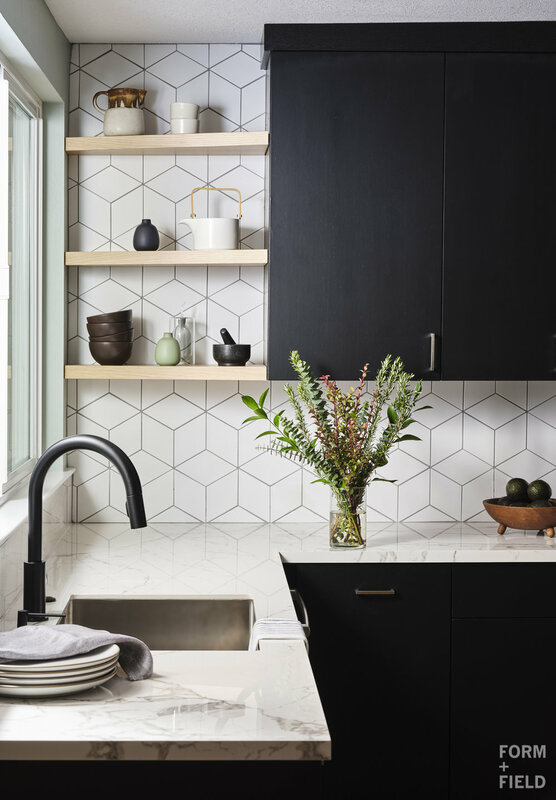 The kitchen in particular needed to function well for two passionate cooks – a gas stove, plenty of space for people and appliances, and a countertop that could handle hot pans.